Partnering with People who have Developmental Disabilities to achieve Healthy, Fulfilling, Enriched Lives. Koinonia (coin-o-NEE-yah) is a leading non-profit 501(c)(3) organization in Northeast Ohio that provides residential services, day programs, and employment services to adults with intellectual and developmental disabilities. Our service portfolio includes 21 licensed group homes, over 50 supported living arrangements, transportation services, and shared living options all provided in safe and healthy settings. From 24/7 care to drop-in residential options, we also assist a wide range of adults and youth transitioning from school to the working world. Koinonia serves individuals with intellectual and/or developmental disabilities. These individuals may also have physical challenges, (walking or mobility challenges, visual/hearing impairments, etc. ), medical issues (seizures, diabetes, etc. ), learning disabilities, autism, and mental illnesses. Most of these individuals have other special needs and challenges, and many have dual diagnoses. A home doesn’t just protect us from the elements, it is also a sanctuary where we can be comfortable and prepare to be part of the world around us. Our Residential Services for people who have intellectual or developmental disabilities includes 21 licensed group homes, and over 50 supported living arrangements, and many shared living options all provided in a safe and healthy setting. Koinonia’s Adult Day Program located at 1200 Resource Drive is a good fit for individuals who are unsure if they wish to seek employment, but who still want to enjoy a wide variety of engagement activities in and out of the center. Activities offered reflect each individual’s interests and abilitiesas well as his or her goals as outlined in the Individualized Service Plan (ISP). Individuals start their day in one of many program rooms. From there they might spend part of their day on a community outing, or working on activities of daily living, or socializing with peers. Designed to enhance and sustain the level of mental and physical health required to live life fully during retirement, our Senior Services provide a group setting that supports independence and productivity as well as support strategies when needed. Let’s create your path to employment together! From job coaching to job shadowing, we have the people, connections, and experience to help you discover your path to employment. Koinonia (coin-o-Nee-yah) is a rich complex word of Greek origin. Community, partnership, and generous sharing are at the heart of the word. It is translated into English to mean fellowship. We are looking for associates that want to come work with us, and stay for a career! Applying for a Direct Support Position? Before you apply, please take a moment to watch this realistic job preview. Koinonia is a leading provider of services for people who have intellectual and developmental disabilities. We provide residential services, adult day support, senior services and employment services – right in your community. We offer a comprehensive benefits package including medical, dental, vision, holidays, 403b retirement, paid time off, paid training, and tuition scholarship. Previous employer(s) information including address, city, state, zip, phone, fax, and salary (even if you are uploading a resume, you will still need to enter this information. Koi nonia Homes is proud to be recognized by ERC as one of Northeast Ohio’s 99 best places to work for the past two years in a row! NorthCoast 99 recognizes great places to work for top performing people that drive results, provide competitive advantages, and allow businesses to innovate and grow. Applicants are evaluated based on policies and practices related to the attraction and retention of top performers, as well as data collected from employee surveys. NorthCoast 99 is an annual recognition program that honors 99 great workplaces for top talent in Northeast Ohio. The program focuses on organizational practices and performance. The program is presented by ERC (www.yourerc.com), the area’s leading professional services organization dedicated to HR. 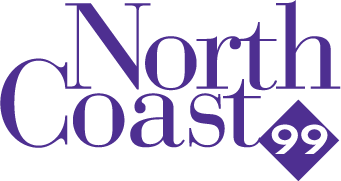 For more information on NorthCoast 99, or to view the complete list of winners, CLICK HERE. We’re Here To Help Your Future Blast Off! Let’s Create Your Path to Employment Together! Koinonia Enterprises can offer you volunteer opportunities, job-seeking skills training, community-based assessments, follow-along services, and the job coaching, job development and career exploration you need to find your path to a better job. Koinonia Enterprises offers customized employment alternatives, workplace assessments, paid internships, and volunteer opportunities to help you find your personal path to employment. From community living skills to career exploration, Koinonia Enterprises can help you research alternatives while keeping you active and engaged with volunteer opportunities and job shadowing. We’ll keep you busy with our walking club and music therapy program while getting out and about seeing all that our community has to offer. Make a difference volunteering, or explore possible career alternatives. I am very satisfied with my son’s placement. My son has been a resident for quite awhile and he likes his home. Also, now that he is older, there are some health issues involved of which the house supervisor and the staff are very understanding. They are capable of assisting him whenever it is needed. The house is always clean and my son as well as the other residents appears to be well adjusted and happy. I have constant contact with my son and I feel comfortable with my son’s placement/living arrangement. Wonderful staff, very clean home. I have peace of mind knowing that my son is in good hands and lives in a nice environment. My daughter has been in the care of Koinonia Homes for many years. In all that time,I have never been anything but satisfied with the services she has received. The home she lives in is always neat and clean, the atmosphere is very pleasant. She appears to be very happy and content when I visit her. I would very definitely recommend Koinonia Homes. Very good for the most part. My sister has been an active participant at the Koinonia day program for years and I have been very pleased with the services that they provide. Keep up the good work! I loved working at Koinonia… I loved it so much my son lives in one of their homes!!! Have you been diagnosed with an intellectual or developmental disability? Are you currently enrolled in any program provided by your local county board of Developmental Disabilities or another qualified agency? Are you currently a Medicaid recipient? Thank you for contacting us about a donation. Thank you for your interest Supporting our mission of Partnering with People who have developmental disabilities to achieve a healthy, fulfilling, and enriched lives! A member of our development team will be in contact shortly! To make a donation right away, plase feel free to visit our Donation page. information about how to apply, a realistic job preview, and what Koinonia has to offer YOU as an associate. You’ll also see a list of current job openings that you can apply for right on our website. intellectual or developmental disability.For more information please visit the Resource section of our website. disabilities. They will work with you to determine eligibility for services. For more information please visit the Resource section of our website. Join Mailing List? You can unsubscribe at any time.